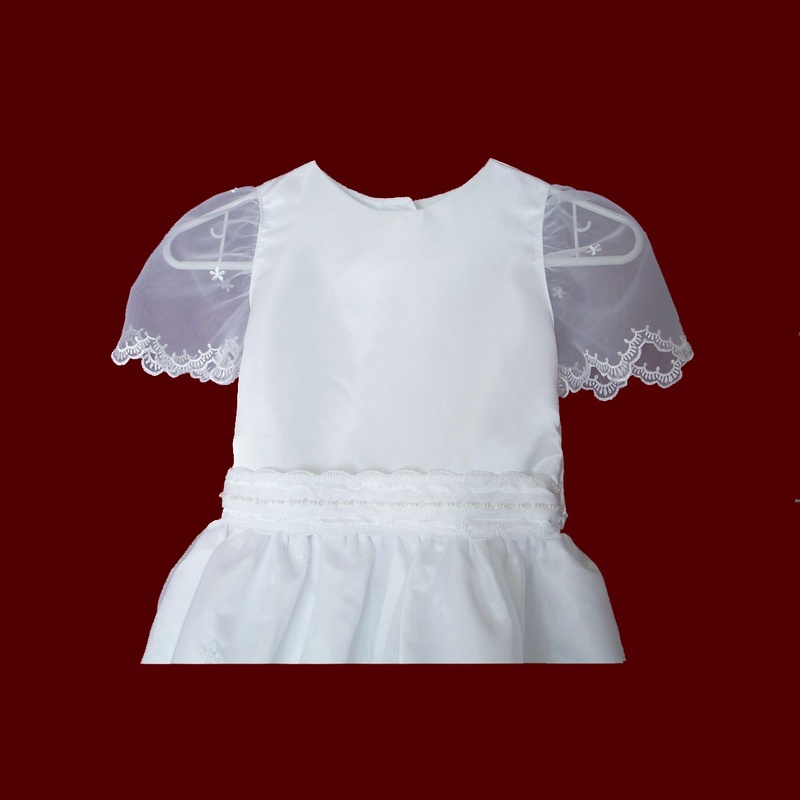 Gorgeous communion dress with floral embroidered sheer organza overlay on the skirt with sheer puffy scalloped edge sleeves, satin taffeta bodice with jewel neckline and underskirt. 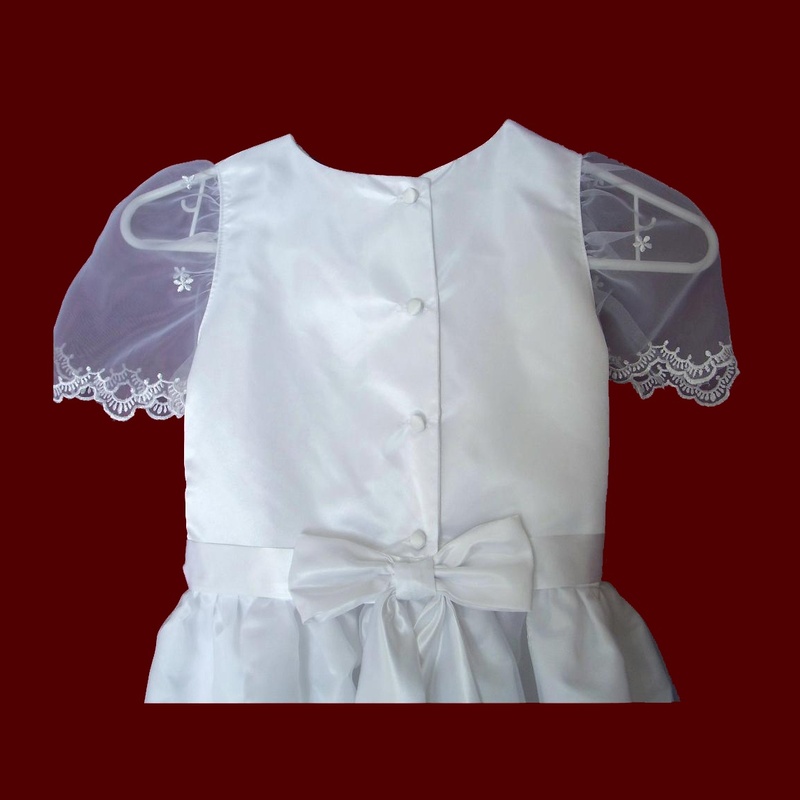 Also available: sleeves can be lined with satin taffeta with the overlay of scalloped organza, satin short puffy sleeve, cap sleeve, sleeveless or 3/4 length or long sleeve. Scalloped venice lace edging with beading on the front ribbon sash. 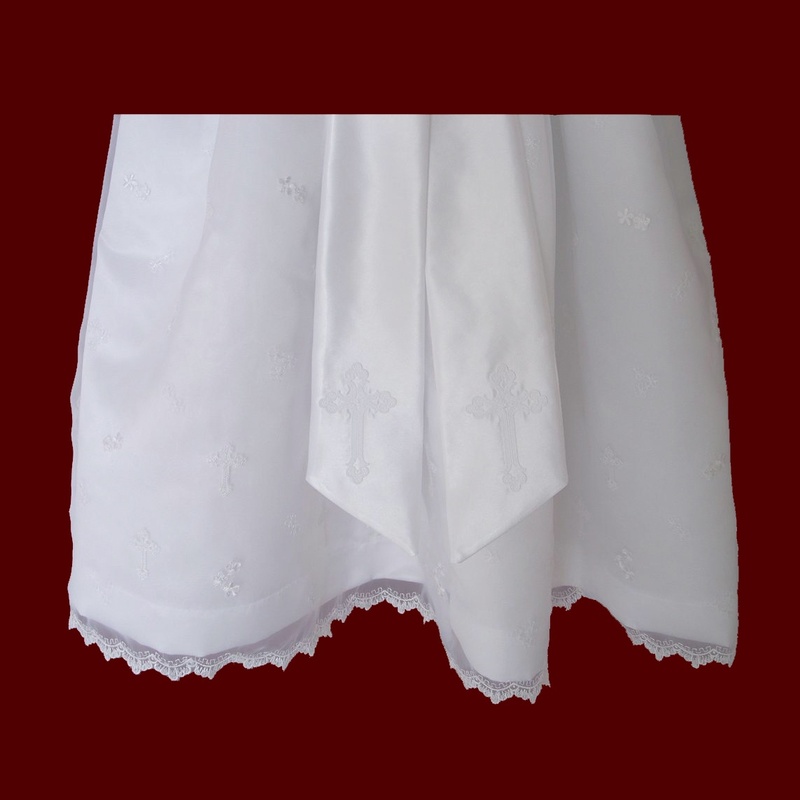 Covered satin buttons down the back yoke with a snap in satin taffeta bow and sash tails with an embroidered cross (many new crosses to choose from!) 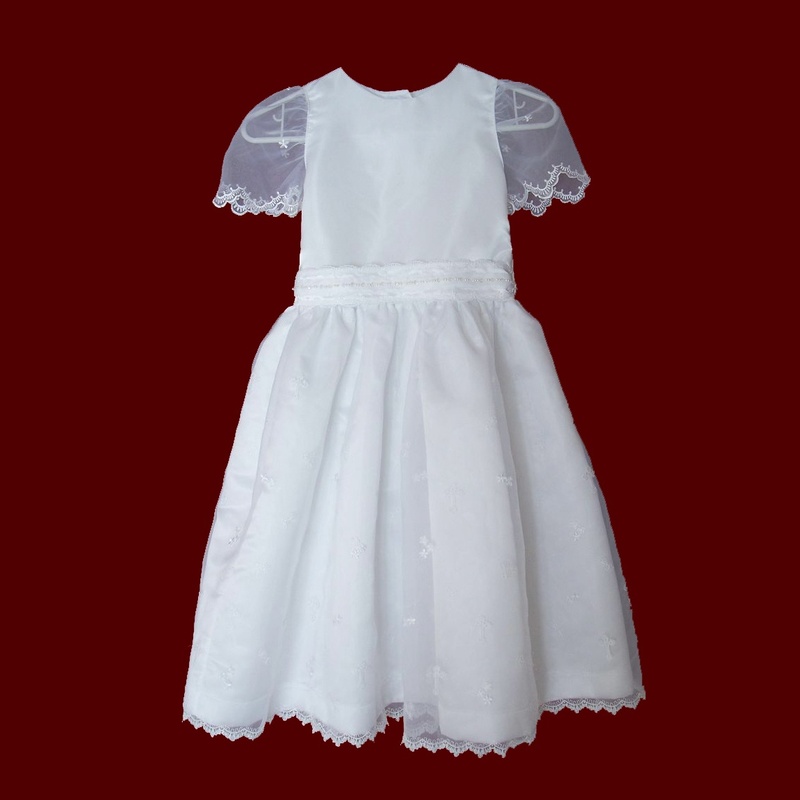 that can be personalized with the communicant's name and date, making this dress a keepsake from her special day. Soft semi-bouffant half-slip is attached to the waistline, adding gentle fullness to the dress at the hemline and can be easily removed for future use. Available in white only. Each dress is custom made to fit your specific measurements - there are no returns on personalized, custom made dresses. Sash tails can be removed and new sash tails with name/date added for future users as well. 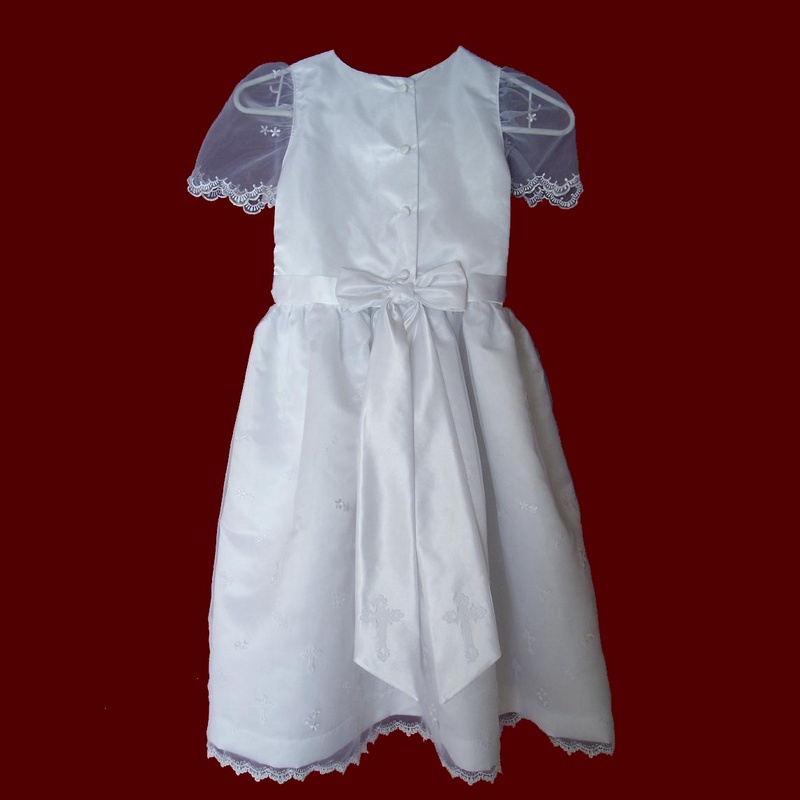 Irish accents available on all communion dresses (shown with shamrock appliques - optional). 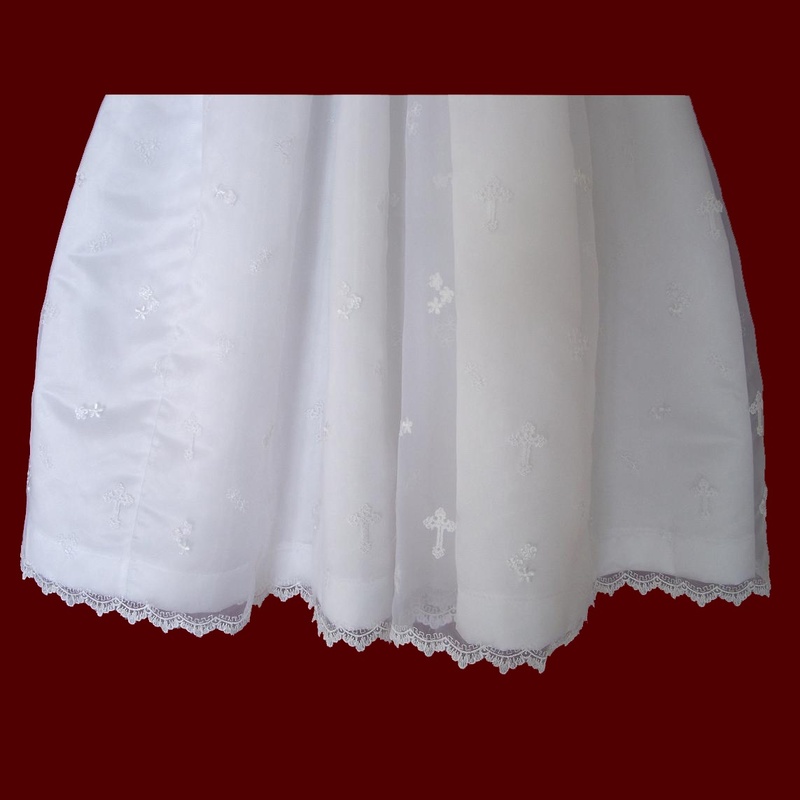 Embroidered organza shown is no longer available ~ substitute many new designs (email smockedtreasures@gmail.com for exact fabrics now available).